My copy of Whoopee! for the week just ended 41 years ago was originally reserved for somebody called Edna. Edna would have enjoyed The Bumpkin Billionaires, I hope. The Billionaires were drawn I believe by Jimmy Hansen, an incredibly prolific comic artist who sadly passed in June this year. Thanks Simon Sheridan for identifying - I think I’ve wrongly credited this strip in the past. 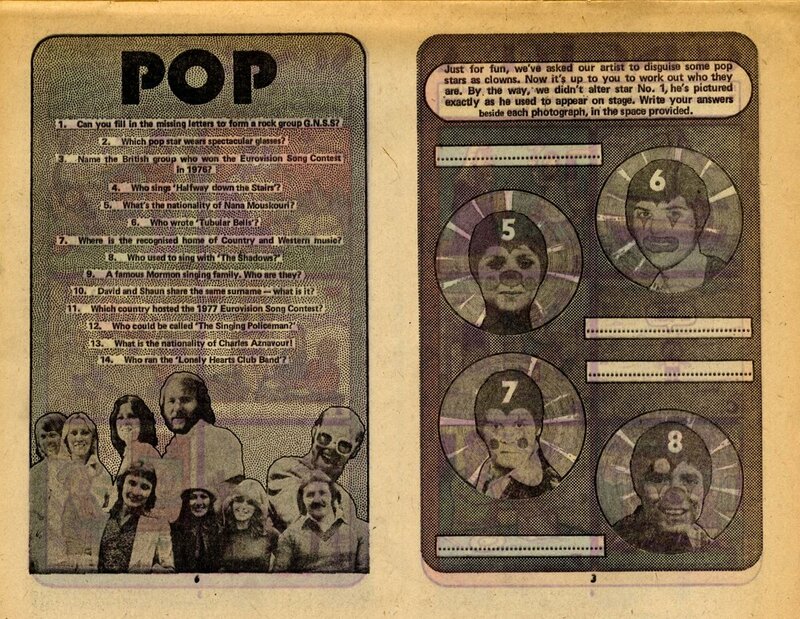 Edna didn’t separate the Pop Quiz Book from the centre pages, nor Ken Reid’s amazing World Wide Weirdies poster from the back cover.